Studies concerning childhood bullying suggests that children with disabilities are often the target of harassment. How can you help your child succeed later in life? Start early. 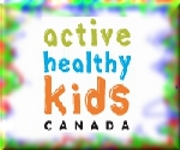 Physical literacy is the new buzz phrase for keeping kids active, but putting the terms physical and literacy together has a funny ring.